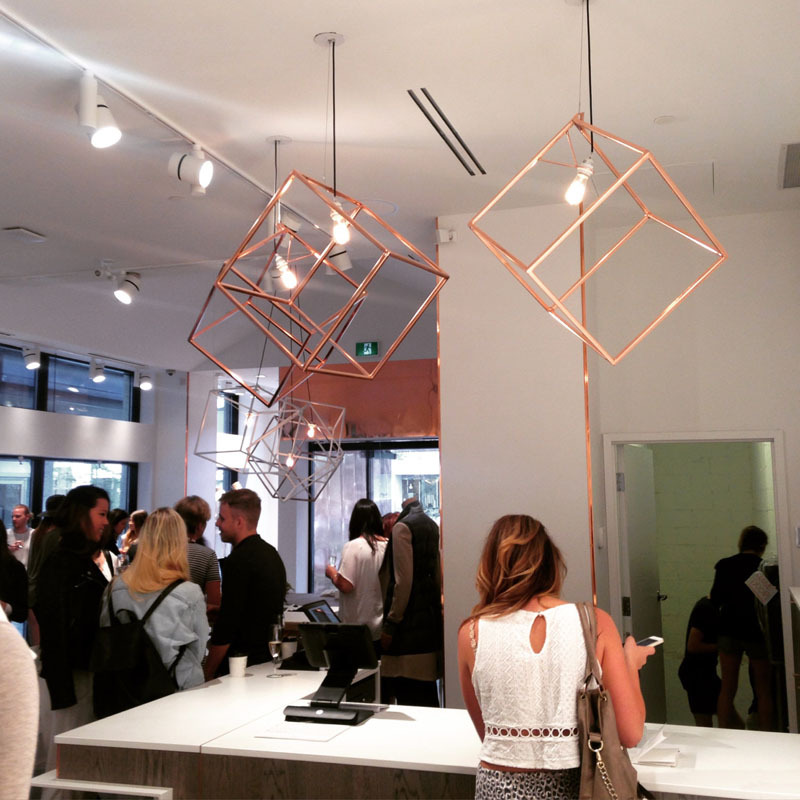 Radar Design, a company based in Toronto, Ontario, has created the Cube Pendant Light. 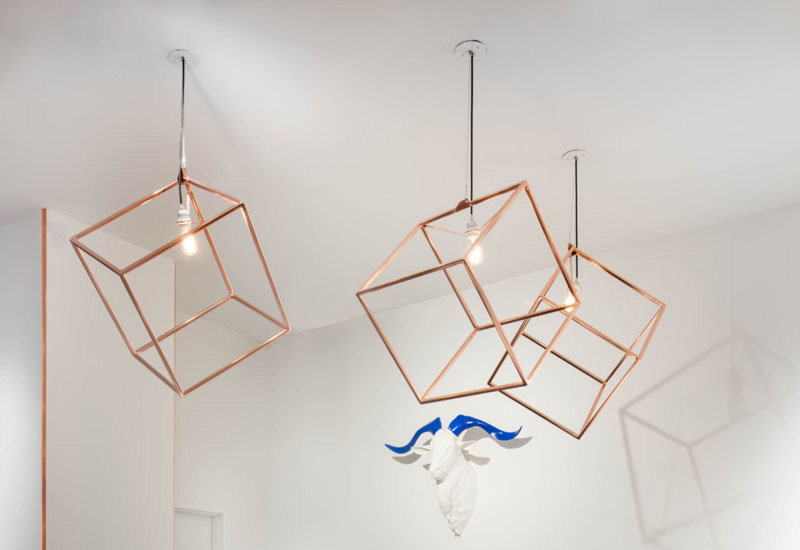 Handmade, the copper plated solid steel cube fixture instantly gives any interior a unique feel. When hung, the pendant lights reflect their geometric form onto the walls surrounding it. Minimalist in design, the copper pendant light makes a bold statement in any space due to it’s large size and geometric form.